In October 2017, Taxify rolled out its operations in Kampala, making the Ugandan capital its second city of operation in East Africa after Nairobi in Kenya. In Kampala, Taxify started with car-hailing, making Uber, which had been in Uganda for a year and 4 months, its immediate competitor. Taxify’s launch in Uganda came as a blessing to the ride-hailing industry because it immediately undercut Uber’s price points, putting a smile on people who had already embraced digital taxi services. The industry got even more spiced up when, in February of 2018, Taxify added boda boda services to its app, threatening SafeBoda’s market. In a few months, competition became more aggressive, and customers danced to the tunes of rivalry: The market suddenly became more attractive due to enticing price points. As more Kampala dwellers endorsed ride-hailing, the market experienced commendable growth. For instance, SafeBoda which had started the year with around 2000 riders registered to its app, closed the year with almost 8000 riders. SafeBoda had been in the market for four almost four years; the aforementioned figure indicates it grew its number of the past four years by 3-fold because of competition. Uber entered the boda boda market in March of 2018, Mondo Ride had launched in Feb., Dial Jack came in July and PikiMe late last year. 2018 saw the lowest fare points Ugandans might ever get from ride-hailing services; this year, most of the companies have already announced increments in rates and reductions in the number of promotions. To ginger up the competition a little bit, in July of 2018, Taxify Uganda launched another product called Taxify Go so that drivers with smaller, lower fuel consumption vehicles could also join the market and offer a cheaper service to customers. Toward the end of 2018, Taxify, which had been seen as a game-changer and won profuse plaudits for the rapid growth of the ride-hailing industry in Uganda, started to waver and attracting loads and loads of negative criticism. In November, disturbing reports emerged that, at the end of the trips, Taxify drivers would present to customers screenshots showing bills from previous trips in order to make passengers — who are not keen with email responses confirming the trip cost, to pay more. 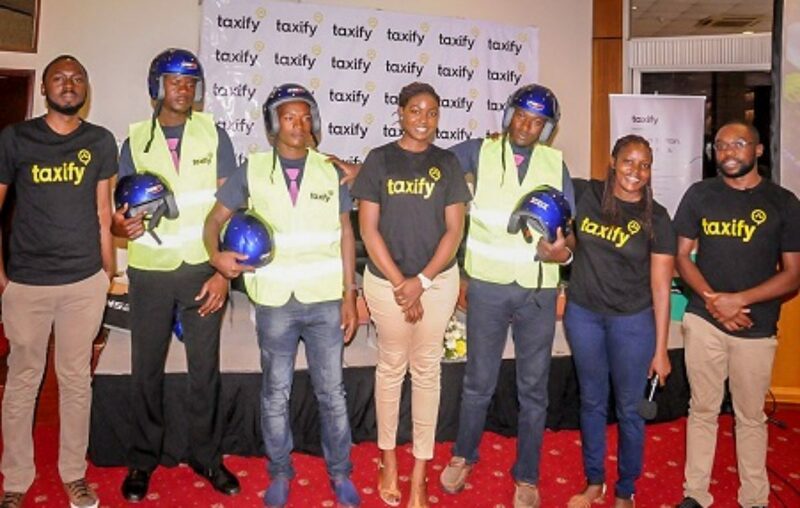 This was an unnerving development, considering, in May, Taxify Uganda had inked a deal with the traffic unit of law enforcement to boost morality and professionalize the transport industry. As 2019 unfolded, the situation seemed to get worse as negative feedback from passengers piled on social media. The accusations have been extensive, from unethical drivers to poor customer care from the company offices to increased fraud among others. It’s after we published a bombshell piece about the company’s recent actions basing on collective feedback from multiple Taxify customers that officials rushed to offer what appeared to be non-painstakingly prepared responses. It was not surprising when an unnamed source told one of the local blogs that the company was planning to rebrand to a new name and start afresh. The headline was the kicker: Taxify closing business in Uganda. However, when we contacted Taxify’s Public Relations Lead for Africa Marilin Noorem, she dismissed the report as “completely untrue”. 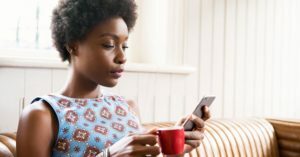 See: SafeBoda, Uber, Dial Jack, Pikime, Taxify: Who is offering the best fare rates? While Taxify Uganda’s current situation might strike you as horrible, it is not an isolated incident, especially among startups; in 2017, Travis Kalanick, one of the founders of Uber, was fired as the company’s chief executive, “following months of chaos” as the UK’s Guardian put it. Three months after Kalanick’s sacking, Uber lost its operational license in London “due to lack of corporate responsibility”, the Guardian headline state. It regained it in the third quarter of 2018. Here at home, SafeBoda, mid-2018, also shared its package of scathing public relations after the application started ‘misbehaving’, drivers became hostile to customers; some drivers, in fact, left the company and others were fired. But right now, when you check social media, it is the most praised application with lots of positive reviews; SafeBoda’s first driver, Moses Musinguzi, has even become a mini-celebrity on Twitter. So, what Taxify has to do now is identifying the cause of the problem and then finding a solution; for instance, since hiring a new CEO, negative PR about Uber has dramatically waned. Recently, we had an email exchange with Shivachi Muleji, who heads Taxify’s operations in East Africa. He told us how the company is hiring new people to boost operational efficiency and an accouterment of other things they’re doing (or planning to do) to maintain a firm grip on the market. We are aware of some drivers trying to manipulate the fares. However, please note that drivers cannot manipulate trip distances as this is calculated in real time as the vehicle moves. At the end of every trip, the passenger is able to confirm the fare directly from the app. Additionally, a receipt is immediately sent on the email to validate how the trip was charged. Security and safety for both our riders and drivers remain the highest priority for us. We encourage passengers to always report any fraudulent attempts to our customer support. Such attempts are quickly flagged by the fraud team, who investigates individual accounts on a case by case basis. If a driver is found to have been engaged in fraudulent activity, their account is suspended and the rider compensated. What is more, we consistently update the Taxify app to mitigate the fraudulent scenarios that drivers may try to fabricate. We encourage our customers to give feedback on specific issues. Our average response time is 24 hours to customer complaints reported on official customer service channels. We ensure that we reach out to both the driver and passengers to resolve any disputes arising from a trip. Unfortunately, some customers and drivers do not know how to report issues via the app. Our goal, therefore, is to sensitize the whole rider community on our app usage and service tips including checking customer support follow-up. Taxify is committed to treating its driver-partners with respect and has an open door policy – drivers can come to us anytime to discuss any grievances they may have. We believe in affordable rides and happy drivers. Therefore, one of the most important things for us is to offer our drivers the best earning opportunities. One of the ways to do that is to offer the lowest commissions in the market, taking an average of 15% from the drivers per trip. Every time we have run price discount promotions, we have adjusted our commissions to favor the drivers. Price discounts are meant to increase the number of rides a driver makes in a day resulting in an increase in overall earnings. We ensure to update our drivers on any changes within our business. We meet with drivers once a month to discuss their concerns, share updates of the business and provide feedback to queries. We already had our first 2019 meeting on 12th January after which we revised our pricing to ensure they continue to have the best earnings with us. Lastly, why is Taxify recruiting for a city manager when you already have Julian Byamugisha? We have grown rapidly since we first launched in Uganda in November 2017 and are hiring additional team members. Julian remains the head of the Taxify Uganda Market.